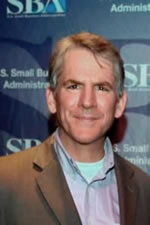 Mark Costello has been with the Small Business Administration since 1987. He serves as the agency’s Deputy District Director and Supervisory Lender Relations Specialist for the Seattle District. In this capacity he is responsible for working with nearly 100 lenders and Certified Development Companies to deliver SBA guaranteed financing to small businesses throughout the State of Washington and Northern Idaho. Mark graduated from Washington State University with a degree in finance. Mark will be leading the “Financing & Crowdfunding” seminar.